Fence links at the bottom of the Home page. 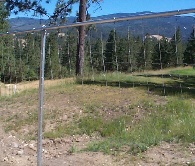 Valley Fence served the Spokane Valley area in Washington. We strive to make our website a tool for you to use when planning your new fence. We want to make sure you have knowledgeable estimators that are friendly, professional, timely installers, read about us. We are a professional, caring installer with creative designs and layout. 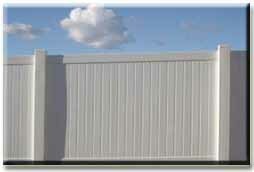 We offer many choices of white vinyl privacy fence, 3 rail vinyl fence and decorative picket fences. We also install chain link fences, barbed wire fences, deer fencing, agricultural fences like barbless wire, field fence, woven wire and no climb wire for gardens or orchards, all to keep deer, elk and moose out of your home perimeter, pasture or your entire acreage parcel. Our fences are not only for people, they are also for animals or pets such as dogs, horses, alpacas, cows, goats and all types of farm livestock. Our designs offer security, safety, privacy, peace of mind and beauty for your front or backyard. White privacy vinyl is also available in tan and pebble stone, clay, stone, or a mix n match with white frame and your choice of colored pickets. It is available in white and tan post-n-rail available in two, three or four rails, these are great for your farm or ranch look. This a high quality vinyl fence with additives for protection against the sun's rays. Keep in mind that 3 rail vinyl fences are mostly for looks, they should never be used for tight confinement of larger animals. They are not strong enough. Gates and Options are just some of the choices available in chain link, their are also many heights of chain link available, even the size diamond squares can vary, post thicknesses is an important consideration especially if you ever want to install slats. 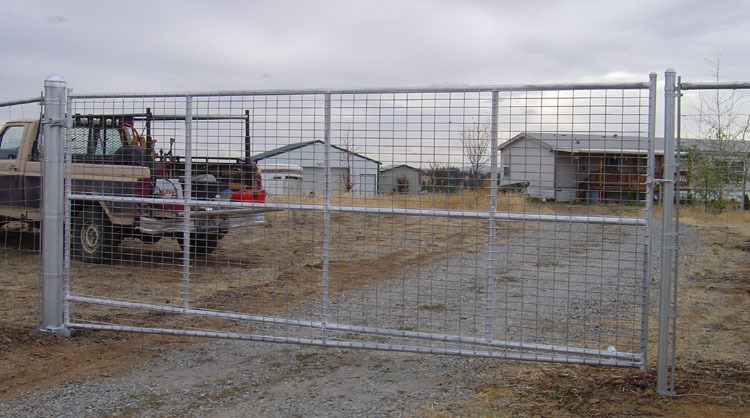 Valley Fence LLC also offers custom welded walk gates, single or double drive gates, roll gates and cantilever gates where snow and heavy track are expected. Most barbed wire fences have either 3, 4 or 5 strands of 12.5 gauge wire spaced approximately 10 inches apart in most cases utilizing T-125 or T-133 line posts or Tee Post. The 1.33 refers to the weight per ft. of the post, so the bigger the number the heavier the t-post, typically 1.33 are the heaviest you can purchase today with t-100 being the thinnest and lightest. These steel posts are factory painted green or red with a white top, they are driven into the ground with a large t-post hand held or pneumatic(air) driver. Heights of 6 ft. to 8 ft. is recommended for gardens. This fence is ideal for keeping predators out of orchards, vineyards and gardens. This is a cost effective way to provide protection from deer, elk, moose damage. This can be done with a top rail and chain link line posts for a nice look or just t-posts with angle braces for the ends and corners. 2 overlapping layers of 39 inch 12 1/2 gauge galvanized Field fence works great for keeping deer out, giving you a finished height of 6ft. Picket fences are predominately for residential use or as accent fences in light commercial applications. These designs are great for marking boundaries without obstructing visibility. The characteristics of this product make it durable and virtually maintenance free. Available three top-configuration options (Level top, Scalloped top or arch top designs)and two colors (white or Almond). Available in 6 ft. or 8 ft. wide sections. This unique design has larger spacing at the top so animals can easily see out and closer spacing so fencing can't be penetrated at the bottom. This fence handles the tough task of corralling herds of cattle, horses, sheep, swine or other large animals because it can hold up to ongoing abuse. Available in 32 inch, 39 inch, 47 inch heights, usually starting at 6 inches squares at the top and graduating down to 6 inch wide by 3 inches tall squares at the bottom. 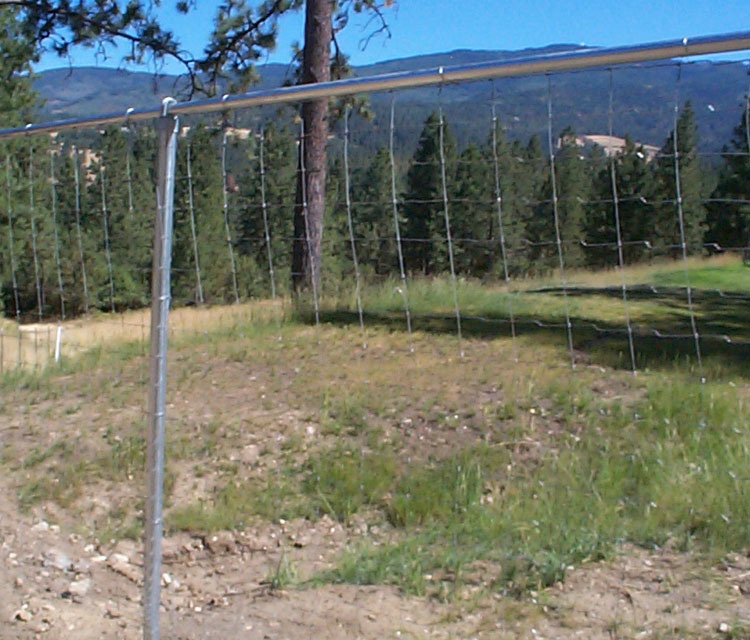 An all terrain fencing ideal for rolling hilly areas, corrals, and pastures. Valley Fence LLC understands how important it is for you to work with a qualified company that has experience, know how and is a honest company. We listens to what the CUSTOMER wants and take great pride in every project large or small and provide quality workmanship, along with checking the city and county codes for proper installation. If you have any questions check out our FAQS Frequently Asked Questions. Valley Fence has had material sales or inquiries form these local cities listed below. 99001, 99003, 99004, 99005, 99006, 99008, 99009, 99011, 99012, 99013, 99014, 99015, 99016, 99018, 99019, 99020, 99021, 99022, 99023, 99025, 99026, 99027, 99029, 99030, 99031, 99033, 99034, 99036, 99037, 99039, 99040, 99104, 99110, 99122, 99128, 99148, 99149, 99156, 99158, 99170, 99173, 99176, 99201, 99202, 99203, 99204, 99205, 99206, 99207, 99208, 99209, 99210, 99211, 99212, 99213, 99214, 99215, 99216, 99217, 99218, 99219, 99220, 99223, 99224, 99228, 99251, 99252, 99256, 99258, 99260, 99299.